By 2015, it’s predicted that mobile purchases will total $119 billion globally! The dawn and rise of mobile commerce is here, but an astonishingly small number of retailers (4.8 per cent to be exact) have mobile sites, considering over half of smartphone users would buy something from a mobile site. If you are an eCommerce retailer but not maximising revenue on the mobile commerce front, then you are missing out on the $119 billion pie. According to the infographic below done up by Microsoft, mobile commerce greatly expands the ways customers can shop, gather information about your products, and pay for orders – while on the go! Items in the Movies/Music/Games, Electronics, and Clothing/Shoes/Jewelry categories are also more likely to be purchased on mobile devices. Furthermore, features that retailers should include in their mobile platform include the function to browse products and view mobile deals, send gifts, locate stores, chat with sales staff, and many more. These features bank on the interactivity and mobility of smart phones to deliver instantaneous value to customers and also raise the bar for user experience. To add on, here are some merits and disadvantages to mobile commerce to give you a better idea of this form of virtual shopping. The number of mobile phone users can only increase as such technology proliferation is on the rise and more people have access to smartphones. In fact, it has become a necessity for people to own smartphones, surpassing the need and reach of laptops or computers. Virtual shopping, especially mobile commerce, is the perfect opportunity to expand markets and increase customers for your wild range of goods and services. By using tags on products, customers have instant access to loads of information without having to enter in long URLs in the phone browser. Furthermore, the appetite for mobile videos and information continue to grow as more people turn to their smartphones and tablets to watch and find content. A new report from Ooyala finds that mobile and tablet video represented a quarter of all online viewing during the fourth quarter of 2013. Additionally, the research suggests that mobile and tablet watching will represent more than 50 per cent of viewing by 2016. By incorporating video and animated components, retailers can give shoppers a more interactive experience to ultimately convert. For instance, according to this article, H&M, major fashion retailer, severely limited their Spring Collection’s marketing potential by not including video and social elements on their mobile site. The presence of a wireless link between the customer and service provider eliminates the need for a fixed interface such as a computer for communication. With mobile commerce, consumers have the ability to shop or make payment irrespective of their current location. Just push a button on your smartphone and you are ready to go. The small size and ease of use of mobile receivers, coupled with freedom from problems caused by infrastructure, makes for a higher degree of user convenience. You can further segregate and categorise your consumer base using mobile commerce and even drop them attractive deals via their smartphones from time to time. For retailers with QR code support, customers can exclusive savings at the point of sale simply by scanning with their smartphones. Mobile phones, when compared to desktops or laptops with bigger screens, lose out on the display and layout factor, and have limits on file and data transfer. For example, it might be tiresome to navigate through thousands of product offerings just to find one specific item. This may have a negative impact on shopping rates. Most mobile networks and devices have a limited bandwidth. Also, the 3G connectivity and speed provided by telecommunications companies vary and cannot guarantee a good connection all the time. You need to seek a balance between overloading your mobile site with graphics and images and the speed of loading product information. Wireless networks – particularly those with widespread access such as mobile phone networks – will generally provide greater opportunities for hackers than the standard ‘internet’. 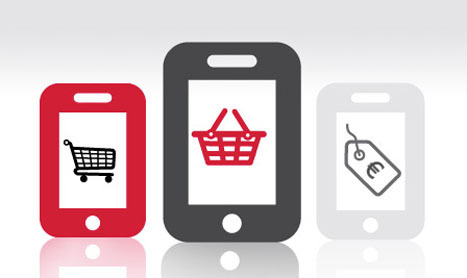 To end off, the importance and growth of mobile commerce is almost guaranteed. 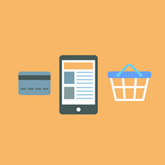 Even though it requires more development in specific areas such as ensuring secure transactions, offer better shopping experiences, and improving graphics and layout of mobile websites, mobile sites are an additional sales channel that retailers have to employ if you want to reach out and increase sales.